A Maiden Auction Stakes over 5f 20y on standard going. Seven two-year-olds take part, a mix of colts and fillies from early-season trainers. This looks a tricky race to assess with only one horse with experience. Bill Turner got off to his customary flying start when Mick's Yer Man won the Brocklesby in style on the first day of the Flat turf season. His second runner didn't keep the 100% record, although that colt ran on with purpose at the line. Jake Payne takes the ride on Sunshine Superman, a son of Captain Gerrard, who was purchased by the trainer for £1,100 at the yearling sales. The mare was unraced, although bred to need a trip. As stated before, Turner doesn't feature as good a strike rate with his debutantes as pundits enthuse. In fact, their juveniles often struggle to win first start. The Brocklesby victory is still fresh in punters' minds and could well be a horse to take a watching brief if a short price. Outback Lover is the only horse to have raced so far, one of two juveniles fielded by Stan Moore. This bay, by first season sire Bushranger, is on the small side. Fillies come in all shapes and sizes so it doesn't pay to be dogmatic about their standing although this March foal had the physique of a plater. That initial experience could be worth a lot, especially on this turning track, where immaturity can be costly. That first effort at Lingfield left me with the impression connections didn't hold any aspirations of winning. It is difficult to imagine the worth of that form as the winner never looked to be troubled and the majority of the field were on a steep learning curve. Egan takes off a valuable 3lb, and from a low draw is likely to press on. If relatively fancied in the betting she has fair win and place claims although I have reservations. The other stable representative is Far Gaze. This Amercian bred colt was a cheap buy for 2,000euros. The mare won on debut in a three-race career. The main point of interest regarding this colt is that he was one of two juveniles entered by Moore to run in the Brocklesby. They were both withdrawn most probably due to testing ground conditions, suggesting the all weather surface will be more suiting. In previous years, the Brocklesby entry has been a positive sign for this stable, with the majority of the sample going on to win in their juvenile career. However, most won on their second start. I would imagine Far Gaze will be a better horse than Outback Lover. However, it would be a fair effort to win on debut. Left Defender is Jo Hughes fourth two-year-old runner of the season. The stable have about 20 juveniles at Hill House Stables. This bay colt was purchased by the trainer from the yearling sales for £3,000. This son of Camacho is out of an unraced Irish mare and top weight for this event. There was good money for both juveniles in the race where Outback Lover finished fifth, with the stable taking second place, while the heavily backed Marilyn Marquessa disappointed after showing good pace. A difficult horse to assess but a stable who like to gamble so worth keeping an eye on the market. Richard Guest isn't renowned for two-year-old winners and the majority of his juveniles are limited, most needing the experience. Clumber Place won on debut in 2008, after being well backed. *Will To Survive was a 1,500euro purchase from the yearling sales. The only positive is that this youngster makes an early start to his career because some of the stable's better prospects have been their first runners. However, unless seriously backed it would be wise to take a watching brief. *Gin Time hails from David Evans' stable. This March foal, a daughter of Kalanisi, is owned by his wife and a cheap buy. Ty Derlwyn Farm, have about 14 two-year-olds in training and they generally aim to run most of their juveniles in the first few months of the season. The sire was a talented horse from Sir Michael Stoute. However, you would have to consider this trip looks a touch sharp. I always find this stable very difficult to call with their debutantes. Money would be a positive but a few question marks on the breeding front and wide draw doesn't make for easy reading. Memory Styx looks the most interesting horse on paper and comes from a stable which deserves respect. This daughter of Clodovil is the most expensive in the field at £14,000 and related to fair horses including half-sister Watneya, who won on debut when trained by William Haggas. The mare made a winning three-year-old debut for Mick Channon over one mile and a limited handicapper. From a statistical point of view this grey holds the best chance although this minimum trip could well be on the sharp side. This horse makes most appeal as the winner. Conclusion: It is best to take these early-season two-year-old races as works in progress. They are part of a much bigger picture and form takes time to become established. The betting is a good pointer. Outback Lover has the advantage of experience although she is a on the small side. I can see her sneaking a place but may struggle to win. Unless there is substantial money for Left Defender & Will To Survive they are best watched. Gin Time looks to need a further trip. I find Evans debutantes impossible to assess. I would take a watching brief but respect they can win when readied. Similarly, Sunshine Superman wouldn't be my type of bet if favourite. Far Gaze is worth noting for the future and likely to win this season. Moore's youngster can win on debut and it isn't beyond the realm this horse could go well. Memory Styx looks the the sort to go well but this doesn't look a betting race to me. Note: Sunshine Superman, Will To Survive & Gin Time have been entered to run in a selling race at Warwick, which suggests they are no world beaters. 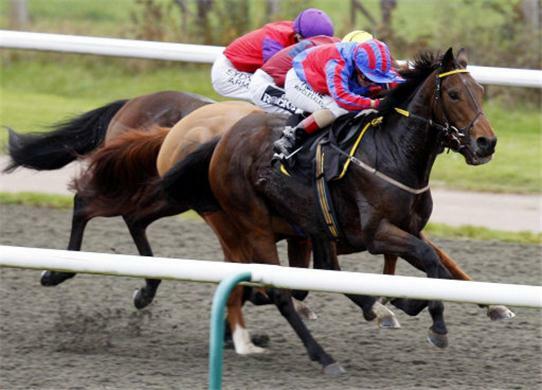 Take a look at We Go Racing, who not only have a great website, but a superb 2yo racing page.